Are we all enjoying Wimbledon this year? It is a British institution enjoyed by everyone and for some, the weather this year has been exceptionally good. Who wouldn’t love to watch a game with a glass of chilled lager in their hand? And there is no better beer to enjoy for Wimble watching than Stella Artois who are sponsors of the tennis tournament. 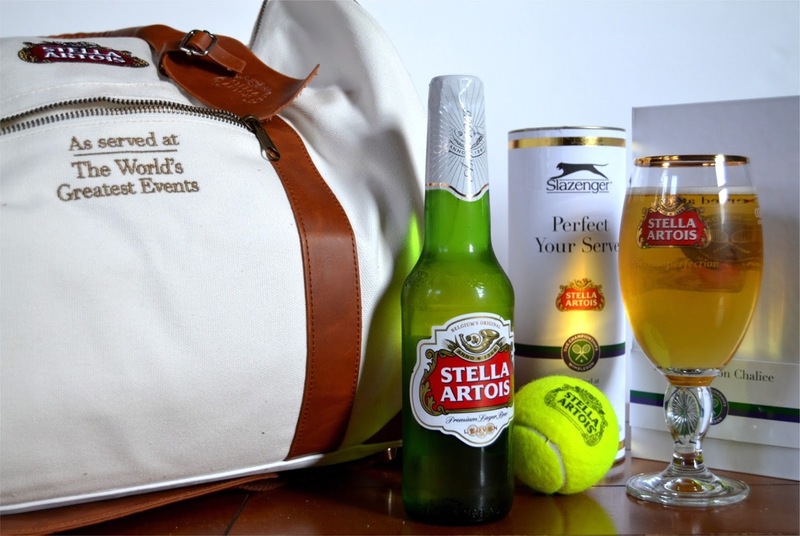 To celebrate this I was recently sent some Stella Artois to review, along with a fantastic tennis bag, emblazoned with the Stella logo, a limited edition engraved Wimbledon/Stella Artois chalice and a set of limited edition tennis balls. Stella Artois, for those of you who haven't tried it yet, is an extremely popular lager enjoyed in over 80 countries worldwide. It is a pale lager from Belgium, with a light malt taste which is a bit sweet and a bit bitter. When chilled, it is a very refreshing tipple coming in at 5.2% alcohol by volume (abv) content. Now, I am going to be cheering on my fellow Scotsman Andy Murray who is playing a blinder this year, whilst sipping on my Stella Artois from my lovely chalice. Then after, I may be inspired to pack my kit in my new bag, dust off my tennis racket and have a few volleys with my new balls! 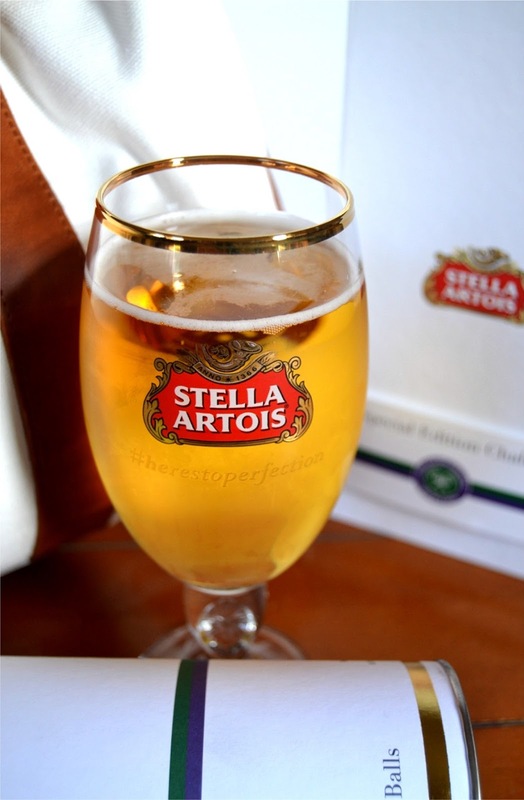 The chalices can be purchased over at the Stella Artois website. Disclosure Statement: I was sent Stella Artois lager, the bag, tennis balls and chalice in exchange for a review of the lager. Any opinions expressed are entirely my own.